Alyre LeBlanc of College-Bridge, Memramcook passed away surrounded by his family on Sunday November 25, 2018 at the CHU Dr. Georges L. Dumont at the age of 80. Born in College- Bridge on October 24, 1938, he was the son of the late Philippe and Polonie (Belliveau) LeBlanc. He worked as a custodian at the Abbey-Landry School until his retirement. 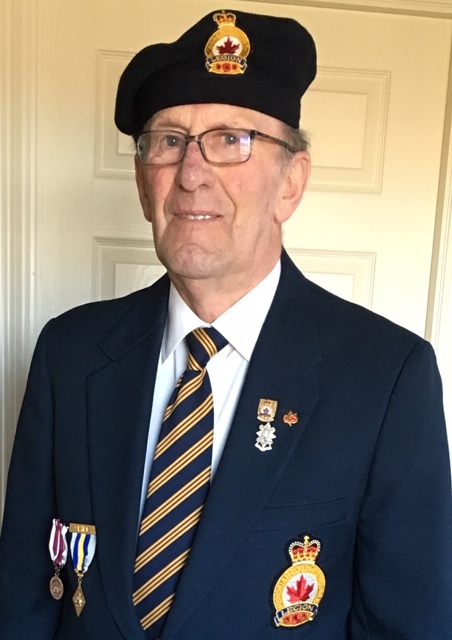 He was a member of the Knights or Colombus, Sackville Legion, Golden Age Club of Memramcook, and was a veteran of the Black Watch. He will be sadly missed by his wife, Bernice (Landry), two daughters, Caroline (Jim Dunphy) LeBlanc of PEI and Paula (Frank Marcantonio) LeBlanc of Moncton, one son, Yves (Charline) LeBlanc of Memramcook, three grandchildren, David, Pierre-Luc, and Elena, one sister, Bernadette (Francis) LeBlanc of Connecticut USA, and several nieces and nephews. He was predeceased by one infant son, Alyre (1965). Visitation will be held at Dupuis Funeral Home on Wednesday November 28 from 2 to 4 and 7 to 9 pm only. Funeral mass will be held at Saint Thomas de Memramcook Roman Catholic Church, St-Joseph on Friday November 30 at 11:00 am. Interment will be held in the parish cemetery. In lieu of flowers, donation can be made to the CHU Dumont Foundation (Auberge Mgr Henri Cormier).